Have you ever ordered a ride from a rideshare company? There are many rideshare companies that transport passengers from one location to another in exchange for a low fee. Can you name more than two rideshare companies without having to research? If you are like the majority of people, you can only think of two rideshare companies off the top of your head. 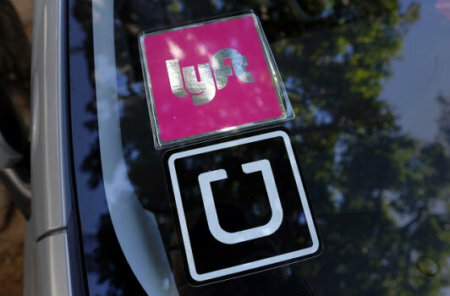 Uber and Lyft are the two most recognized rideshare companies in the nation. Uber and Lyft were founded within a few years of each other in 2009 and 2012 respectively. 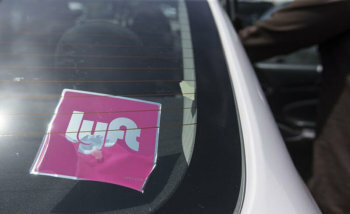 The two rideshare companies have competed for riders for many years. The majority of riders have had positive experiences with these rideshare companies. However, many riders have hoped that they never ordered a ride and entered the vehicle. Car accidents can happen at any moment. It does not matter if you are an excellent driver with a clean driving record—you can suffer an accident at any time. It does not matter if you are a passenger in a vehicle navigated by an excellent driver—accidents can happen. Why do accidents happen? Accidents happen for a variety of reasons which include the following: drunk driving, speeding, distracted driving, reckless driving, weather conditions, inexperienced drivers, failure to follow traffic rules, tailgating, road rage, and mechanical problems in cars, for example. Even if you are driving safely and cautiously, the recklessness and negligence of another driver can result in a car accident. Do you know your rights after a car accident? If you have been driving for many years, you might have been involved in a car accident before; therefore, you might be familiar with the process of exchanging insurance information and seeking compensation from the insurance company covering the liable party. Unfortunately, handling an accident involving an Uber or a Lyft driver is not as simple as handling normal accidents. Because of that, victims injured in Uber and Lyft car accidents might encounter difficulties after their accidents. Victims of Uber and Lyft accidents might hesitate to take any action after their accident due to the belief that the major rideshare companies are not subject to the law. Our law firm is dedicated to helping the victims of rideshare accidents exercise their rights. Kenmore Law Group is a law firm committed to helping the victims of Uber and Lyft accidents receive the compensation to which they are entitled. It does not matter if you were a driver, a passenger, a pedestrian, a bicyclist, or another party in another vehicle—our attorneys can help you. Our attorneys have many years of experience handling rideshare accident claims. Yes, Uber and Lyft accident claims are relatively new types of claims. However, our attorneys have extensive experience in the field of car accidents, and they have applied this experience to Uber and Lyft accident claims. Kenmore Law Group is a law firm committed to the victims of Uber and Lyft accidents. Our attorneys have represented many victims of rideshare accidents and helped them recover the highest amount of compensation available for their claims. If you were injured in an Uber or Lyft accident, you have the right to file an accident claim. You must immediately contact our law firm and request to speak with our attorneys. Our attorneys will give you all the information you need to start your legal process against the party liable for your injuries. Do not hesitate to contact our law firm; you can speak with our experienced Uber and Lyft attorneys without having to worry about any legal fees. In the following sections, you will find a series of information that should provide a stable foundation for your rideshare accident claim. You will find information about Uber and Lyft insurance policies, insurance companies, and settlement amounts. You will also find additional information that should help you gain an understanding of your legal situation. If you have any questions or concerns remaining after reviewing the following information, we encourage you to contact our law firm and request to speak with our attorneys as soon as possible. Only our experienced Uber and Lyft accident attorneys can provide you with case-specific information to help you file a successful lawsuit. All drivers have a duty of care when they are operating a vehicle. They must drive skillfully and diligently to avoid collisions and injuries to others. They owe a duty of care to all parties that might be on or near roads—passengers in their vehicle, drivers and passengers in other vehicles, bicyclists, motorcyclists, and pedestrians, for example. Drivers must follow all the rules of the road to ensure that no one is put at risk for injury. What does that mean? All drivers—no matter if they are working or not—have a duty to drive with care. All drivers must exercise caution, follow all traffic rules, avoid distractions, avoid driving under the influence, and yield whenever necessary, for example. What happens when drivers do not exercise their duty of care? Unfortunately, when drivers breach their duty of care, the breach often results in injuries. A breach of duty often results in a negligence claim. A driver is driving under the influence of drugs or alcohol. A driver is driving at speeds higher than the posted speed limit. A driver is distracted by a mobile device while driving. A driver is ignoring traffic signals and running red lights and stop signs. A driver is failing to yield to pedestrians and other vehicles. A driver is changing lanes recklessly without checking for other vehicles. These examples of breaches of duty can all lead to accidents. Accidents are the third element of negligence—cause. The breach of a driver’s duty often causes an accident. Depending on the severity of the accident, the accident might result in injuries to innocent victims. The injuries sustained by the victims of car accidents finalize the elements of negligence. If you sustained injuries after being involved in an accident caused by a driver’s breach of duty, the driver might be found negligent, and you might be entitled to compensation. Does this apply to Uber and Lyft drivers? The short answer is yes; everything described above applies to Uber and Lyft drivers. However, Uber and Lyft drivers are considered common carriers. What is a common carrier? A common carrier is a person or a company that transports passengers in exchange for a fee. For many years, common carriers only consisted of buses, taxicabs, trains, airplanes, and ships, for example. With the introduction of Uber and Lyft into transportation, the normalcy of common carriers has been affected. Uber and Lyft drivers are considered common carriers; therefore, they must always practice an extraordinary level of care to ensure the safety of their passengers, above all. If you suffered injuries as a passenger in a common carrier, you must prove that your injuries were results of negligence to be eligible for compensation. Were you injured in an Uber or Lyft accident? If so, you likely sustained a variety of injuries that might have left you with a mountain of medical bills. What injuries did you suffer? The injuries sustained in different car accidents depends on many factors, such as the force of impact, the types of vehicles involved, and the type of accident, for example. In many of the accidents, victims suffer injuries that might require extensive treatment and long-term rehabilitation. In the following paragraphs, you will find more information on some of the injuries that might be sustained in car accidents. What is the most important organ in your body? The brain is easily the most important organ in the human body. Because of that, a head injury can be a cause for concern. Something as seemingly menial as a bump on the head can severely affect your health. A sizeable portion of people will suffer concussions at least once in their lifetime. During car accidents, suffering a concussion is likely. Minor concussions often do not lead to permanent effects, and they require little to no treatment. If left untreated, severe concussions can result in traumatic brain injuries. Powerful blows to the head can also lead to immediate traumatic brain injuries during a car accident. Traumatic brain injuries can result in negative effects in a victim’s thinking, sensation, language, and emotion. Other head injuries that victims might suffer during a car accident include fractures of the skull, internal bleeding, and lacerations—all of which can be severe considering their proximity to the brain. As mentioned above, head and brain injuries can affect a victim’s senses. An injured victim of a car accident might suffer hearing loss and tinnitus, for example. Fractures in the bones in the middle or inner ear can result in hearing loss. Hearing loss can also be directly linked to damage sustained in the brain—brain injuries might affect the way sound is processed. Tinnitus—or a constant ringing or buzzing in the ears—can also be caused by a head injury. Like hearing loss, tinnitus can be caused by issues in the brain. Head and brain injuries can also affect a victim’s vision. A blow to the head can cause an eye injury and result in vision loss. Eye injuries are not only caused by head and brain injuries. Airbag injuries, corneal abrasions or lacerations, foreign particles in the eye, globe rupture, and orbital fracture can all lead to eye injuries and loss of vision. Victims of car accidents might also suffer a series of cosmetic injuries. Such cosmetic injuries might include loss of teeth, scrapes, bruises, lacerations, deformities, and scars. Although these injuries might not be considered life-threatening, they could have serious effects on victims. Some of the cosmetic injuries mentioned above can lead to depression, anxiety, and other mental and emotional afflictions. Cosmetic surgery might be necessary to correct some of the injuries sustained during car accidents. Neck and back injuries are also common results of car accidents. The most common type of neck injury is whiplash. Whiplash is characterized by pain, a decreased range of motion, neck stiffness, and headaches. Whiplash—or neck strain—consists of damage to the tendons or muscles in the neck. Neck sprains consist of a tearing of the ligaments in the neck. In most instances, both neck strains and sprains are considered whiplash. Back injuries often consist of herniated discs and fractures. Back injuries are often permanent, as they are difficult to correct with surgical procedures. Surgery is often used to address the pain associated with the injury rather than correct the injury. Back injuries often leave victims with lifelong pain that requires a constant intake of prescription medications to lessen. Neck and back injuries can also result from spinal cord injuries. A spinal cord injury is one of the most severe and life-altering injuries that can be suffered in a car accident. Spinal cord injuries can be characterized by the following: severe back pain; pressure in the neck, head, and back; weakness, numbness, and tingling throughout the body; inability to control bladder and bowels; difficulty breathing; difficulty walking; and visible deformities in the neck or back. Depending on the location of the spinal cord injury, you might suffer paralysis—paraplegia or quadriplegia. There are two types of spinal cord injuries: incomplete and complete spinal cord injuries. In incomplete spinal cord injuries, the injury is due to a partially severed spinal cord, and the victim is left with some function. In complete spinal cord injuries, the injury is due to a fully severed spinal cord, and the victim is left with no function. Incomplete and complete spinal cord injuries can be categorized into three sub-categories of injuries: anterior cord syndrome, central cord syndrome, and Brown-Sequard syndrome. These injuries can result in tetraplegia (quadriplegia), paraplegia, and triplegia. Tetraplegia is often known as quadriplegia; it occurs when the spinal cord is injured at the cervical (neck) level. Quadriplegia results in the loss of mobility from the sight of the injury—often from the neck down. In paraplegia, the spinal cord injury occurs in the thoracic area. The injury results in the loss of mobility in the lower half of the body. Incomplete spinal cord injuries often result in tiplegia—the loss of sensation and movement in the legs and one arm. No matter the type of spinal cord injury suffered, victims will undoubtedly require long-term medical care. Car accidents often result in fractured and broken bones. Unfortunately, these injuries are often disregarded and not considered serious. However, fractured and broken bones can be painful and result in additional complications if left untreated. Victims of car accidents might experience fractured or broken bones in the following areas of the body: arms, hands, wrists, legs, ankles, feet, ribs, pelvis, and clavicles, for example. These injuries often require little to no treatment. Medical care might consist of a bandage or cast to keep the injury stable and allow it to heal. In severe fractures and breaks, injuries might require surgical procedures. Victims might require the surgical insertion of screws, pins, or plates, for example, to hold the bones together to promote healing. These injuries often prevent victims from performing their daily tasks and require a few weeks of rest. A broken leg and a broken arm, for example, can leave a victim immobile for weeks or months at a time. Other injuries that can result in immobility for some time are knee injuries. Fractures and dislocations, for example, can result in severe pain. One of the most common knee injuries is a torn anterior cruciate ligament (ACL). A torn ACL occurs when there is a sudden change in the direction of the locked knee. Victims often hear and feel a pop in the affected knee followed by severe pain. In many instances of knee injuries, victims must be subject to reconstructive knee surgeries. After surgeries, victims often require many months of physical therapy to regain function in the knee. In most cases, it takes anywhere from six to nine months for a victim of a torn ACL to return to his or her normal activities. Other knee injuries include meniscal tears, bursitis, tendinitis, tears in tendons, collateral ligament injuries, iliotibial band syndrome, and posterior cruciate ligament injuries. Some victims of car accidents might experience chest pain. Chest pain is often associated with heart attacks; however, a series of chest injuries could result in chest pain. Rib injuries can cause chest pain. Bruised ribs can lead to dull chest pain associated with movement. If ribs become fractured during the car accident, victims might experience sharp, shooting pain near the chest area. Chest pain might also be caused by a muscular injury in the chest. The most serious chest injuries occur when there is blunt force or penetration to the chest, which can result in organ injuries. If you suffered any of the injuries discussed above, you might have grounds to file a lawsuit and recover compensation for your injuries. Unfortunately, many people are not familiar with their rights after being involved in a rideshare accident. They might believe that Uber and Lyft accidents can be handled like any other car accident, but that is far from the truth. If you were injured in an Uber or Lyft accident as a driver, a passenger, or another party outside the rideshare vehicle, you have rights—and you can take legal action. To understand your rights after an Uber or Lyft accident, you must understand the insurance policies offered by the two rideshare companies. Insurance policies for Uber and Lyft are provided by James River Insurance and York Insurance, respectively. These insurance policies are designed to cover the victims of rideshare accidents when the personal insurance policies of those involved are not enough to cover the extent of victims’ injuries. So what are these insurance policies? Uber and Lyft’s insurance policies were unavailable to the public. Therefore, there was a lot of speculation and mystery around these rideshare companies’ insurance, and whether they even provided insurance. A few years ago, Uber and Lyft’s insurance policies and information about their insurance providers because available to the public—both rideshare companies made this information available online on their websites. Both Uber and Lyft are required to maintain insurance policies with a minimum coverage of $1,000,000 per incident. The insurance policy offers coverage of one million dollars for liability, one million dollars for uninsured motorists, and one million dollars for underinsured motorists. How do the insurance policies work? There are three categories necessary to explain Uber and Lyft’s insurance coverage: not available, available but not on a trip, and during a trip. However, before discussing Uber and Lyft’s insurance coverage, it is important to note that the rideshare companies require all their drivers to have their own auto insurance policies. In the sections below, there will be more information about how the rideshare insurance policies apply under the three categories mentioned above. Not available—if the Uber or Lyft driver is driving a vehicle that is involved in a car accident and the driver was not available in the respective mobile app, there will be no insurance coverage. If the driver is logged off the Uber and Lyft apps and driving for personal reasons, only the driver’s personal auto insurance policy will apply. This means that the driver, any passengers, and any third party victims injured outside the vehicle would be covered by the liable party’s insurance company. If the off-duty Uber or Lyft driver was the liable party who caused the accident, all claims would be made to his or her insurance policy. Available but not on a trip—as soon as the Uber or Lyft driver logs on to the app and makes him or herself available for rides, the rideshare insurance starts covering. If the driver is logged on and available but has not accepted a trip, the insurance policy provides coverage to a certain extent. Drivers who are logged on to the rideshare app but have not accepted a trip request have contingent coverage provided by Uber and Lyft. What does this mean? With contingent insurance coverage, the total coverage you receive from Uber and Lyft’s insurance depends on your personal auto insurance policy. Uber and Lyft provide $50,000 per injury for an injury coverage total of $100,000. They also provide up to $25,000 coverage for property damage. Are you guaranteed this amount? The short answer is no; you will only receive the coverage necessary based on your personal coverage. For example, if your policy covers up to $10,000 in injuries but the injuries total to $20,000, Uber and Lyft’s insurance would provide the difference. What does this mean for other injured parties? If you are available but not on a trip, you should not have any passengers in your vehicle. However, parties outside the vehicle might suffer injuries. If the Uber or Lyft driver was liable for the accident, all injured parties would first have to make injury claims against the driver’s personal insurance policy. If the policy did not offer enough coverage for victim’s injuries or if the claim to the policy was denied, injured victims could file claims to Uber and Lyft’s insurance policies to be compensated. During a trip—as soon as the Uber or Lyft driver accepts a trip and until the driver ends the trip, the full rideshare insurance policy applies. Once the driver accepts a trip, he or she is covered by Uber and Lyft’s one million dollar policies. What does this mean if you were involved in an auto accident? If you accepted a trip, your coverage includes one million dollars for injury liability and one million dollars for uninsured and underinsured motorists. You will also have contingent collision coverage with a deductible ranging between $1,000 and $2,500, depending on the rideshare company with which you are partnered. What does this mean for drivers, passengers, and all injured parties? Under an active ride, all involved parties are covered under Uber and Lyft’s one million dollar policies. How do you know if you are covered under Uber or Lyft’s insurance policy? If you are an Uber or Lyft rider, you are always covered by Uber and Lyft’s one million dollar policies—from the moment you enter the vehicle until the moment you exit and complete the ride. If you are a driver, you are covered by Uber and Lyft’s insurance policies as soon as you log onto the respective mobile app—coverage depends on whether you have accepted a ride. If you are a party outside the rideshare vehicle such as a pedestrian, a bicyclist, a motorcyclist, or a passenger or driver in another vehicle, your coverage depends on whether the rideshare driver was logged onto the app or on an active ride. For more information about Uber and Lyft’s insurance policies, you must speak to an Uber accident claim or a Lyft accident claim attorney. Unfortunately, many people do not take action after their rideshare accidents. As previously mentioned, rideshare accidents cannot be treated as normal auto accidents. Injured victims might try to file claims directly with the insurance companies; however, they often encounter obstacles that discourage them from pursuing legal action. Most injured victims believe that insurance companies want to help; however, they will do anything to avoid paying. Because of this, insurance companies will often deny claims or make offers that are useless to victims. Many victims, even if they have legitimate claims, will not appeal decisions made by insurance companies. So, they never recover the compensation that they deserve. If you were injured in a rideshare accident, you must seek legal assistance as soon as possible. It does not matter if you were a rideshare driver or passenger, or an injured party outside the rideshare vehicle; the insurance companies will do whatever it takes to deny your claim or give you little to no compensation. Trying to deal with insurance companies on your own can be a waste of time. Instead, you should contact the attorneys at Kenmore Law Group. The attorneys at Kenmore Law Group can help you fight for your rights. It does not matter if you are an Uber driver, an Uber passenger, a Lyft driver, or a Lyft passenger; our experienced rideshare accident attorneys will give you the guidance you need to file an Uber accident lawsuit or a Lyft accident lawsuit. If you have ever experienced an auto accident before, you know that there are a few things that you should do after all accidents—such as take pictures of the damage to the vehicles. However, there are many things you should do in addition to taking pictures. If you do everything that is required, you should not encounter many difficulties when you file a claim. So what should you do after a rideshare accident? Before you do anything, you should take a moment to address the situation. Is anybody injured? Does anyone need immediate medical attention? The most important thing to do is seek medical attention for your injuries. If you seek medical attention, you must keep all medical records and bills associated with your rideshare accident injuries. This includes anything from emergency care to prescription medications—you must keep a record of everything. You should also take photographs of your injuries at three different times—immediately after the accident, after receiving treatment, and after your injuries have healed. These photographs will demonstrate the extent of the injuries and will prove to be essential pieces of evidence for your claim. At the scene of the accident, you must collect a variety of different information. If you were not the liable party, you have to identify the liable party. Speak with the party who caused the accident—gather his or her personal information including name, address, and driver’s license number. You should also gather information about his or her vehicle, such as make, model, color, license plate number, and vehicle identification number. If there were many vehicles involved, it might be difficult to identify one liable party. In multi-vehicle accidents in which the liable party might be unclear, you should gather information of all the parties involved. You must remember to collect the insurance information of the driver’s involved. Often, parties involved might assume that all parties are driving for personal reasons and not as work. 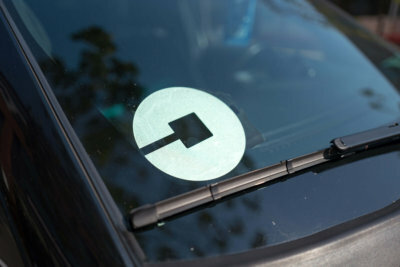 Uber and Lyft vehicles often contain a sticker, for example, that identifies the vehicle as part of a rideshare service. If one of the vehicles is clearly part of a rideshare service, those involved must make additional inquiries. Was he or she logged onto the rideshare app? Was he or she on an active ride? A rideshare driver must hesitate to release that information. However, if you are a rideshare driver and you were involved in an accident, you must always be truthful—as investigations can reveal whether your status during the accident. If you are a passenger in a rideshare vehicle, you must immediately take screenshots in the app; you should focus on capturing the driver and vehicle information, as well as the time and location of the accident. The rideshare apps also have in-app features that allow riders to report accidents; you must do this immediately. If there were any witnesses to the accident, you should gather information about witnesses. You should collect witness names and contact information for future reference. Collecting witness information might be time-sensitive since many key witnesses leave the scene of an accident before speaking with those involved. Because of this, you must act with urgency; identify and speak with witnesses as soon as possible. Witness testimonies often prove to be vital to the success of Uber accident claims and Lyft accident claims. Another important step is contacting the police. Often, police will not respond to instances of minor accidents. However, police presence at the scene of the accident can help support your claim. When the police arrive at the scene of the accident, you must ensure that they write an accident report. The police will speak to the parties involved and form a report about the accident. You should take note of the police agency that responded to your accident and completed the accident report—as you might need to contact the police department at a later time to request a copy of the police report. What else should you do to ensure that you have gathered all the evidence necessary for your claim? As mentioned at the beginning of this section, you must take pictures. However, you must be thoughtful with the pictures that you take—take them with the purpose of creating evidence. Many people mistakenly take pictures that only show the damage sustained by their vehicles. The parties involved in the accident should photograph all damaged vehicles. Before the vehicles are moved from the scene of the accident, you should take a series of photographs. Taking pictures before the vehicles are moved leads to a clear demonstration of the end-result of the accident. It also provides directional context for later investigations. After the vehicles are moved, you should take pictures focusing on the damages sustained. Do not take too many pictures zoomed into the damages; rather, show the damage in relation to the rest of the car. When you take photographs, it is beneficial to have the date- and time-stamp feature enabled as a confirmation that the images were taken on the day of the incident. What is the last step you should take after a rideshare accident? After you have recovered from the shock of being involved in a rideshare accident, you should seek legal assistance. Spend some time researching the different law firms equipped to handle your claim. You must ensure that the law firm you choose to handle your claim has extensive experience handling rideshare accidents for drivers and passengers. When you choose a law firm, you must schedule a consultation in which you can explain the incident and present your evidence. Doing so will start your legal process. Did you forget to do something after your accident? Do not worry—you can still take legal action. The steps outlined above are designed to facilitate the process of filing an accident claim. For more information about the steps that you should take after a rideshare accident, you must contact Kenmore Law Group as soon as possible. Let us clarify. Each category of compensation listed above is unique. Specific details of rideshare accidents affect different categories of compensation. For example, a rideshare accident in which the victim sustained moderate injuries that left him or her unable to work for two months would result in different compensation than a victim in the same accident left permanently unable to work. As listed above, injured victims are eligible to receive compensation for medical expenses, lost income, pain and suffering, property damage, loss of consortium, and punitive damages. Before you file your claim, you should have a thorough understanding of the compensation available for your claim. Most victims receive compensation for their medical expenses. Compensation for medical bills covers every medical expense that might have been created by your injuries. What expenses make you eligible to receive medical compensation? You might be compensated for anything from emergency care to prescription medication, including surgeries, medical equipment, follow-up visits, all treatment, physical therapy, and at-home medical care, for example. If you are projected to require additional medical care in the future, you might also be compensation for future medical care and the anticipated costs of your care. If your injuries left you unable to work, you might be compensated for lost income. In many cases, injured victims are out of work temporarily. Injured victims might be out of work for a few months while they recover from their injuries. During this time, they are unable to work and earn wages. If you lost wages during your recovery, you might receive compensation. The amount of compensation you receive will depend on the total time you were out of work and your wage history. Unfortunately, many people are never able to return to work because their injuries are severe and disabling. In instances in which victims are permanently unable to return to work, the compensation they receive will be calculated differently. In addition to the lost wages described above, they will likely be compensated for future wages based on a projection. What factors affect this projection? Projected loss on income depends on the following: wage history, age at injury, and years expected to continue working. Some injured victims are eligible to receive compensation for their pain and suffering. Many might misconstrue this compensation for only physical pain; however, it includes mental and emotional anguish. In many instances, the injuries sustained lead to drastic lifestyle changes. Because of that, some injured victims might experience mental and emotional effects, such as depression, anxiety, panic, and post-traumatic stress. To receive compensation for pain and suffering, victims must be evaluated by professionals to establish the extent of mental and emotional damage created by the physical injuries. In some cases, injured victims might be unable to continue enjoying normal, loving relationships with their family members. In those cases, family members might be eligible to receive compensation for the loss of consortium. Compensation for the loss of consortium is common in claims in which the victim succumbed to his or her injuries. In such cases, surviving family members might also be eligible to receive compensation for funeral and burial costs, in addition to the other categories of compensation. In car accidents, there are usually thousands of dollars of lost property. If your car, for example, was damaged in a rideshare accident, you might be eligible to receive compensation for property damage. Punitive damages might also be available in some claims. Punitive damages are awarded when plaintiffs can prove that the injuries suffered were maliciously or intentionally caused. For more information on the different categories of compensation that might be available for your claim, you must contact the lawyers at Kenmore Law Group. Our attorneys are familiar with the ways in which a victim’s life can drastically change in a matter of hours. We know the struggles associated with car accident injuries. We understand that monetary compensation will not turn back time and reverse your injuries, but we know that it will remove some of the financial burden associated with recovery. When you contact our law firm, you can be certain that our aggressive attorneys will fight for you. Our lawyers will always fight for your right to compensation, and they will not rest until you recover the maximum amount of compensation available for your claim. $500,000—an Uber driver who was making a right turn hit a bicyclist. Although Uber’s insurance company offered $350,000, the claim settled for more at $500,000. $6,000—an Uber passenger suffered injuries. $70,000—a passenger was injured in a minor Lyft accident. Immediately after the accident, the victim refused to seek medical attention for his neck pain. A few weeks later, he sought medical attention for a series of symptoms which included neck pain, back pain, ankle pain, and wrist pain. $1.2 million—the victim suffered a traumatic brain injury, broken bones, and internal injuries. $2.8 million—the victim suffered back and neck injuries, requiring surgical procedures. $295,000—the victim suffered a spinal cord injury that left no permanent damage. $3 million—the victim suffered traumatic head and brain injuries and a series of fractures. $375,000—the victim suffered neck injuries which required surgery to treat. $5 million—the victim suffered a traumatic amputation along with a series of other injuries. $500,000—the victim suffered a mild brain injury in addition to bruises and contusions. $800,000—the victim suffered a knee injury, a fractured femur, and minor hand injuries that, combined, prevented the victim from returning to work. $996,000—the victim suffered a series of fractured and broken bones, one of which required surgery. In some instances, claims are settled for less than the original settlements because of limits on the damages that victims can recover—these limits vary from state to state. Although there are not many public settlements available for Uber and Lyft accidents, Uber accident settlements and Lyft accident settlements can be estimated based on the details of the claims. If you would like more information on past Uber and Lyft accident settlements, you should contact our law firm as soon as possible. Our experienced attorneys will discuss past Uber and Lyft accident claims and estimate the value of the cases based on case details. Estimating the value of past rideshare accident cases might help you understand the estimated value of your claim. Now that you are familiar with possible Lyft accident settlement amounts and Uber accident settlement amounts, you might be interested in learning more about the timelines that apply to your claim. All claims—including Uber and Lyft claims—are subject to statutes of limitations. What is a statute of limitations? A statute of limitations is a timeline that applies to claims to ensure that all claims are filed promptly and justly. A statute of limitations is a deadline to sue designed to prevent plaintiffs from waiting to file their claims so long that defendants lose evidence to disprove said claims. A statute of limitations sets the timeframe in which a plaintiff must bring forth a lawsuit. If the plaintiff does not file his or her lawsuit within the statute of limitations, he or she will likely lose the right to sue and recover compensation. Would you like to lose your right to sue because you missed a deadline? Would you accept losing the possibility of receiving compensation for your injuries because you took too long to file a claim? If you are like the majority of people, you likely answered no to both of these questions. Understanding the statute of limitations that applies to your claim is one of the most important things you should do. The statute of limitations for certain causes of action—car accidents, for example—are set by each state. Therefore, you must contact an attorney with experience in car accident claims in your state to find out the statute of limitations that applies to your claim. Although Uber and Lyft accidents should never be handled like normal car accidents, the same statute of limitations would apply to both situations. As mentioned, the statute of limitations for car accident varies state by states; the statute of limitations can range from one year to six years. However, the same exceptions to the statute of limitations might apply across states. What are some exceptions that might apply to your claim? What do these exceptions mean? If an exception applies to your claim, your statute of limitations will be tolled—or paused. You might consider a toll in a statute of limitations an extension in the total time you have to sue. Some examples include the following: the plaintiff was a minor; the defendant left the state; the plaintiff was unconscious. Let us discuss some examples of when these three exceptions would apply. If a minor sustained an injury in a rideshare accident, the statute of limitations would be tolled until he or she was of legal age. For example, if a 15-year-old suffered severe injuries in an Uber accident, he or she could file a lawsuit at the age of 18. After turning the legal age, the victim would have the standard statute of limitations in which to file a lawsuit. If the defendant left the state, the statute of limitations would be extended by the time that the defendant was out of state. For example, if the defendant left the state for a total of six months during the original statute of limitations, the statute of limitations would be extended by six months. If the plaintiff’s injuries after a car accident left him or her unconscious—or mentally incompetent—the statute of limitations would be tolled until the victim regains competency. For example, if the victim was in a coma for three months, the statute of limitations would be tolled for three months. Another important thing to note about the statute of limitations for all claims is the date in which the time starts running. There are two possible start-times—the date of injury or the date of discovery. The date of injury is self-explanatory; the statute of limitations begins the date that the victim suffers his or her injuries. The date of discovery, however, can be at any reasonable time after the accident. In many car accidents, injuries are not apparent immediately. Adrenaline or shock might be responsible for preventing victims from feeling their injuries. A few days or weeks later, victims often start experiencing pain and seek medical attention. When a medical evaluation reveals injuries, the victim is said to have discovered his or her injuries. Therefore, if the victim became aware of his or her injuries six months after the accident, the date of discovery—and the start of the statute of limitations—would be six months after the accident. For more information about the statute of limitations that applies to your claim, you must immediately seek legal assistance. The attorneys at Kenmore Law Group have the expertise necessary to help you identify the timeline that applies to your claim. Our experienced Uber and Lyft car accident attorneys will also review your claim and identify any exceptions that might extend the time you have to file a lawsuit. Do not hesitate to contact our law firm; our attorneys want to help you recover the compensation to which you are entitled. Ever since the introduction of rideshare services like Uber and Lyft, requesting a ride has become as easy as looking down at your phone for a few minutes. Some people might remember times in which they had to flag down taxicabs and hope that they stopped or arguing with strangers about who the taxicab intended to pick up. Many other people depended on the generosity of friends and family for rides from place to place. Another portion of people planned their daily routines around the public transportation schedules. With the introduction of Uber and Lyft, things have changed. Yes, people still ride cabs, ride with friends and family, and ride public transportation; however, Uber and Lyft have introduced an on-demand method of transportation. Rideshare companies like Uber and Lyft have allowed many people to find alternative methods of transportation—no matter the time or place. Unfortunately, not all methods of transportation are 100% safe. All vehicles are at risk of being involved in auto accidents—Uber and Lyft vehicles are not exceptions. As the number of Uber and Lyft drivers continues to increase, the instances of auto accidents involving Uber and Lyft drivers and passengers have also increased. Because of the increase in incidents, the rideshare companies have had to develop impressive insurance policies to cover drivers, passengers, and third parties. Although both rideshare companies offer one million dollar insurance policies, many injured victims do not have the resources to make claims against Uber and Lyft’s insurance policies. Because of that, many injured victim never recover the compensation to which they are entitled. If you were injured in an Uber or Lyft accident, you must take legal action as soon as possible. You must contact a law firm with experience in Uber and Lyft car accident claims. Kenmore Law Group is a firm dedicated to helping injured car accident victims. With the increase of Uber and Lyft drivers on roads across the nation, there has also been an increase in the number of accidents involving Uber and Lyft drivers. Although many rideshare accidents do not result in injuries, some Uber and Lyft accidents can leave drivers, passengers, and other parties with life-altering injuries. However, the victims of rideshare accidents are often unaware of their rights after sustaining injuries. Because of that, they do not seek legal assistance or take any action to attempt to recover compensation for their injuries. At Kenmore Law Group, our attorneys are dedicated to helping all victims recover the compensation to which they are entitled. Our expert team welcomes you and urges you to request a consultation with our knowledgeable attorneys. Do not hesitate to contact our law firm and request an appointment to speak with our lawyers—you can do so without ever worrying about paying any legal fees. Our law firm offers free consultations and free second opinions to all victims of rideshare car accidents. During our free consultations, our attorneys will answer all your questions and address all your concerns. Our experienced Uber and Lyft accident lawyers will evaluate your legal situations and give you information about your claim. What should you expect to learn during your free consultations? During your free consultation, our attorneys will review the basics of your claim, such as statutes of limitation and categories of compensation available, for example. Our attorneys will also review every piece of evidence you provide to help you establish whether your claim has a promising outcome. Many of our clients prepare questions to ensure that they do not forget to ask anything during their consultation. Although doing so could be helpful, it is not required. Our attorneys make themselves available to you 24/7; you can contact them directly and ask additional questions at any time. During our free second opinions, our attorneys will focus on reversing any confusion created by incompetent attorneys. You might have started your legal process at another law firm other attorneys. However, you might be having doubts about their competency. Unfortunately, many attorneys agree to handle claims without having the appropriate background. Uber and Lyft car accidents require both an extensive background in auto accidents and knowledge about the rideshare companies. If you allow an inexperienced attorney to handle your claim, you risk an unsuccessful outcome. Are you willing to allow the incompetency of a lawyer decide the result of your lawsuit? When you contact our law firm for a free second opinion, our attorneys will dedicate themselves to clarifying your doubts and confusions. Our attorneys will evaluate your claim, go over every detail of your case, and give you all the information you need to ensure a successful lawsuit. Our attorneys will never rush through your claim and risk overlooking or neglecting important details. Many people choose to represent themselves, but later encounter obstacles that they cannot surpass. What is a benefit of not hiring a lawyer to handle your Uber or Lyft accident claim? The primary benefit is not having to pay attorney’s fees. At our law firm, we understand that your finances are your main concern—you do not want to pay expensive legal fees. Because of that, our law firm offers a Zero-Fee guarantee. Our Zero-Fee guarantee ensures that our clients never have to worry about paying any upfront fees for any of our legal services, including consultations and second opinions. Our Zero-Fee guarantee also establishes our strict contingency status. 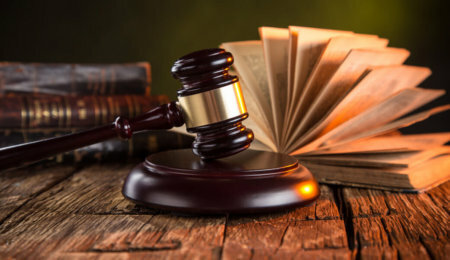 Since our law firm is strictly based on contingency, our clients will not be required to pay any legal fees until after our attorneys win their case. If you choose our law firm to represent your Uber or Lyft accident claim, you will not be required to pay any legal fees until your lawsuit is won and you recover the compensation you deserve. If you do not win and recover compensation, you will not be required to pay. Do not hesitate—our Uber and Lyft accident attorneys are ready to fight for your rights after sustaining injuries in an accident.